1. What Euro NCAP test rating does this car have? 2. Is Autonomous Emergency Braking (AEB) fitted to this car - and is it standard? 3. What else should I do to maximise the safety protection offered by this car? By providing visitors to the show with these three key questions the partnership consisting of Thatcham Research, Bosch, Continental and ZF TRW hope to help reduce the annual UK toll of 100,000 rear end crashes and to make certain that consumers ensure the highest level of safety on their next car. The evidence in favour of AEB is unequivocal. 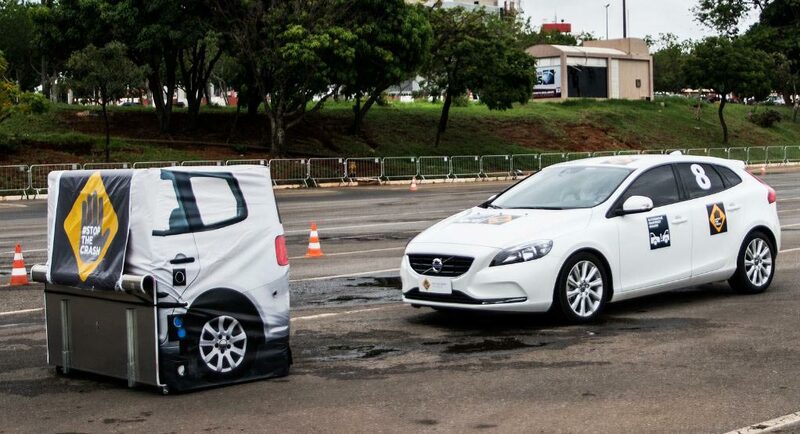 A report released by Euro NCAP in 2015 found that Autonomous Braking systems were responsible for a 38 per cent reduction in real-world rear-end crashes. Despite these statistics – and the fact that vehicle manufacturers have made good progress in making the technology available – AEB is currently only standard fit on 17% of new cars currently on sale in the UK. Demonstrations showing the safety advantage provided by Autonomous Emergency Braking (AEB) will run throughout the show and visitors to the #STOPTHECRASH stand will be able to check which new cars have AEB as standard using an online resource that is hosted on the Thatcham Research website www.thatcham.org/aeb-fitment this is regularly updated to reflect improvements in safety specification. Tyre safety will also be highlighted, with representatives from Continental on hand to demonstrate the effect that low tread depth can have. The UK legal limit for tread depth is 1.6mm, yet tests show tyres only perform at 55% efficiency with this amount of wear. Continental recommends replacing tyres when tread depth reaches 3mm as a responsible compromise between safety, economics and driver confidence, and is focused on educating drivers on the reasons why this is important: research* indicates that 40 per cent of drivers have never checked the tread of their tyres, choosing instead to wait for a service, while 20 per cent admit that they do not even know how to carry out a tyre check. A recent survey** indicated that drivers are more likely to pay extra for satellite navigation and digital radio than they are to invest in safety features, a situation that #STOPTHECRASH believes has to change as a part of the move towards higher standards of road safety.